Westboro Baptist Church, which is known for picketing funerals and its slogan "God Hates Fags," has announced plans to protest at actor Robin Williams' funeral because he used comedy to "mock God" and was a "homosexual enabler." "Westboro Baptist Church hopes to preach in lawful proximity to Robin Williams' funeral — to warn the living: repent or likewise perish," states one of the tweets by the Topeka, Kansas-based group. "HEED: You spend your life mocking God and promoting sin, you get no peace," says another tweet. "God hates Robin Williams. Westboro Baptist Church hopes to preach outside his funeral," reads yet another one. The actor played a gay man in the movie "The Birdcage." 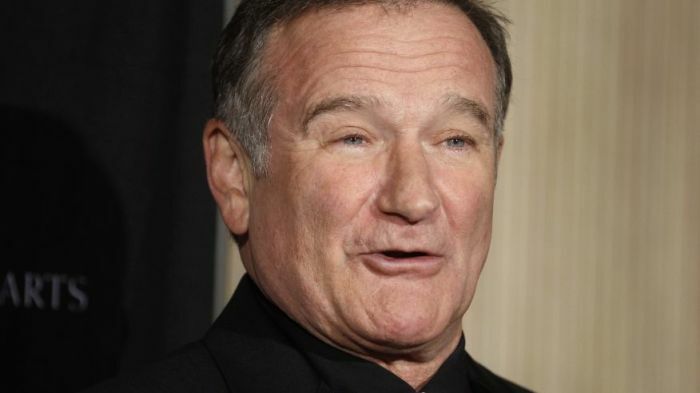 Williams, who was 63, was found dead last Monday at his California home. He reportedly hanged himself. Williams' widow, Susan Schneider, is supposedly planning a small, private funeral for family and friends in San Francisco but hasn't given details about the time and the exact location. In response to the controversial group's plans to picket Williams' funeral, Planting Peace, a nonprofit humanitarian organization that is also based in Kansas, has launched a fundraiser. "Robin Williams played many different roles in so many people's lives, and giving back to others was at the top of that list. His appeal crossed generational boundaries. I was personally impacted when I heard of his passing. This is a small gesture to honour his legacy and the difference he made to so many," Planting Peace co-founder Aaron Jackson said in a statement. The nonprofit, which owns the Equality House across the street from the WBC, is giving the proceeds to the St. Jude Children's Hospital, an organization that was close to the comedian. "In keeping with our philosophy of addressing acts of hate and intolerance with compassion and love, we are inviting the public to show their respect and support of a man who spent his life making others smile, who was always there for others in their time of need, and who supported the greater good through works of service and charity," Jackson added. Westboro Baptist Church founder Fred Phelps died on March 19, about a year after he was thrown out of the group. About a week before the founder's death, his son, Nathan Phelps, wrote on his Facebook page: "I've learned that my father, Fred Phelps Sr., pastor of the 'God Hates Fags' Westboro Baptist Church, was ex-communicated from the 'church' back in August of 2013. He is now on the edge of death. … I'm not sure how I feel about this. Terribly ironic that his devotion to his god ends this way. Destroyed by the monster he made." Nathan broke away from the religious group years ago. Phelps started the WBC in 1955.